Emmet Dennis Hughes passed away on March 29, 2019. Dennis, was born in Modesto, California. Dennis was the eldest son of Emmet and Marie Hughes and older brother of James Hughes. Dennis graduated Stagg Alonzo High School in Stockton and joined the United States Army where he was stationed in Stuttgart, Germany. 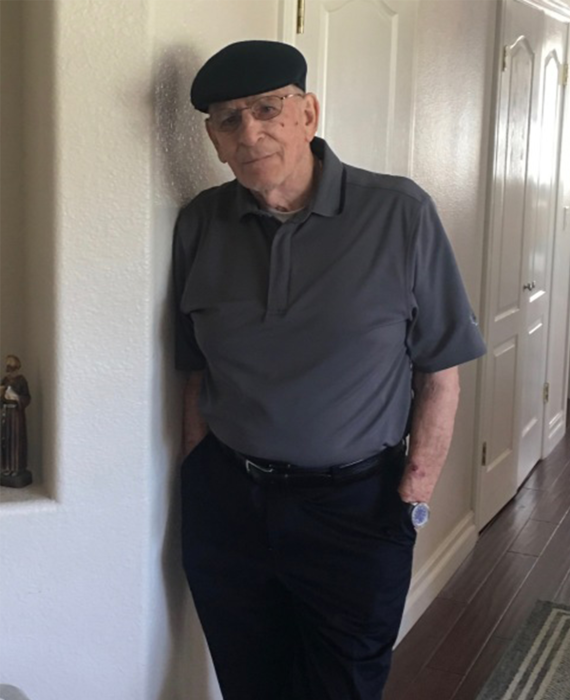 After serving his country, Dennis came home and attended the University of California – Berkeley, University of Colorado, Hastings Law School, McGregor School of Law, and University of the Pacific. Dennis was hired as an organizer by the Retail Clerks International Union in 1966 and moved on to the staff of Local 428 in 1968 where he served in various capacities including organizer, union representative, Secretary-Treasurer and ultimately as the Union’s President until his retirement in 1997. Dennis was an excellent labor leader, who helped with many difficult contract negotiations. He worked tirelessly and eventually was elected President of the UFCW Union where he served until 1997. He was also on the International Union Advisory Board where he served until 1997. Dennis was a member of the American Leadership Forum. After he retired, Dennis worked with many charities. He was an avid fan of the Los Angeles Rams and the Cincinnati Reds. He enjoyed golfing with his sons and union friends. His greatest love was baking sweets with his three grand-daughters, Katie, Isabella, and Avalon, and one grandson, Thomas, and spending time with them in Maui. Dennis raised four sons, Dennis T., Jonathan, Peter, and Rory. Dennis met the love of his life, Pepper in 1979. They were married in 1983 and loved each other for 35 years until his death. According to Pepper, they will love each other for eternity. Family and friends will celebrate his life on May California Central Coast Veterans Cemetery 2900 Parker Flats Road (old Fort Ord) in Seaside, CA. There's still time to send flowers to the Memorial Service at the CA Central Coast Veterans Cemetery at 2:00 PM on May 3, 2019.